Discover and create custom audiences from a variety of deterministic sources and send to trusted partners for same-day audience targeting. Get cutting-edge views like App Graph-based indexing for first party data, competitive apps, and custom audiences. PushSpring equips app owners and publishers with complete audience composition data. Learn more about users, and drive targeted engagement and ad monetization. Offering the only user experience in the market that truly simplifies audience building and activation, PushSpring has expanded our App Graph data set to include audiences from industry leading data providers. 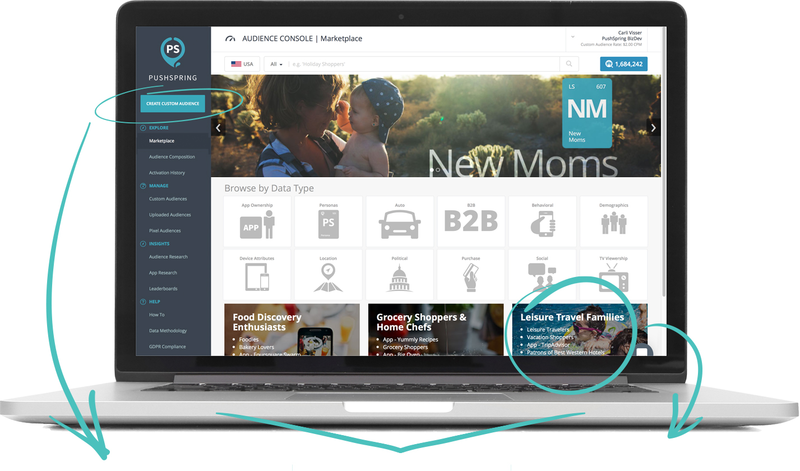 Explore the expanded data sets offered via the PushSpring Audience Marketplace to create and activate your Custom Audiences. Start with your audience criteria and we'll help you immediately discover the most relevant data from privacy compliant, trusted providers. From the Marketplace you can activate those audiences with ease, the same day your audience was created. 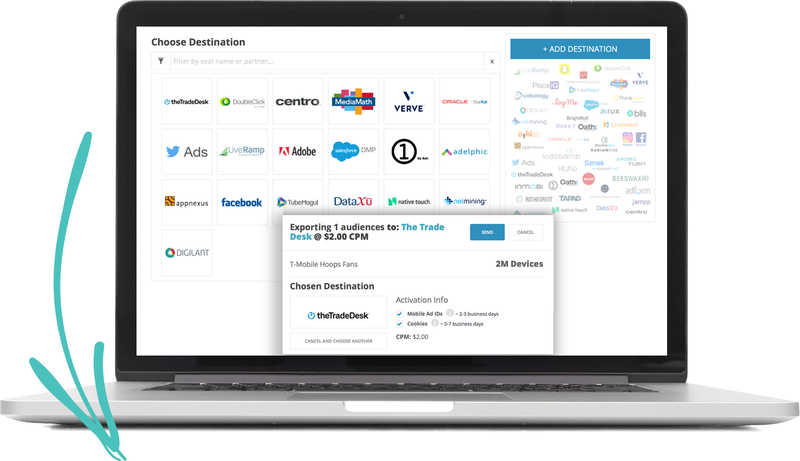 The PushSpring Audience Marketplace offers organization-level CPM pricing, that won't change based upon your audience or chosen data provider. Understand the characteristics of an audience before committing. With our quick insights and audience descriptions you won't be left wondering who is included in your audience. The PushSpring Audience Marketplace features PushSpring branded App Graph data, plus deterministic partner data sourced from privacy compliant providers. Data is offered across over 300 million targetable mobile device IDs. Create custom audiences and securely send to trusted partners for cross-device conversion or same-day audience targeting. Easily send to top DMPs, DSPs and direct activation channels for insights and execution. Through partnerships with leading cross device providers, we offer cross-device targeting at scale to more than 500 million devices, across display, mobile, video, and social inventory at no additional cost.